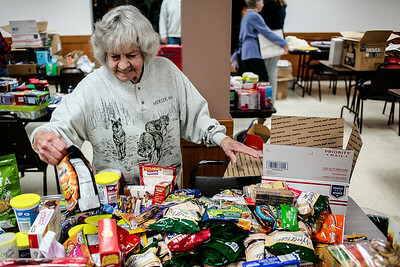 Lathan Goumas - lgoumas@shawmedia.com Lucielle "Toots" Pries packs a car package that will be sent to a solider serving overseas at the Veterans of Foreign Wars Post 4600 in McHenry, Ill. on Tuesday, Dec. 3, 2013.The package is one of about 150 that were put together at the VFW. 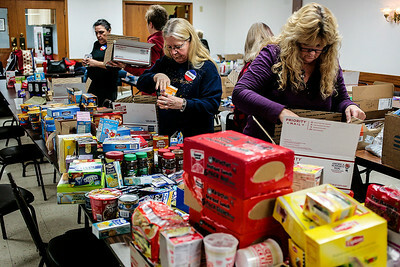 Lathan Goumas - lgoumas@shawmedia.com Care packages for soldiers serving overseas are put together by volunteers at the Veterans of Foreign Wars Post 4600 in McHenry, Ill. on Tuesday, Dec. 3, 2013. 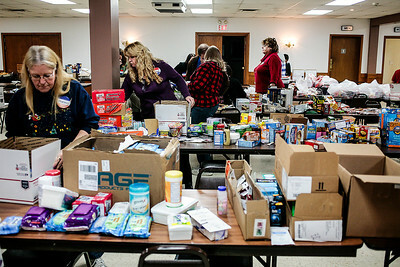 The packages will be sent to about 150 soldiers .